Virat Kohli has won the toss and chose to bowl first just like all the other captains have been doing. Kings XI Punjab is brimming with confidence after their win against Delhi Daredevils. KXIP’s chase of 167 was powered by KL Rahul, who scored the fastest half-century in the IPL. On the other hand, Virat Kohli is looking to take his team to the first victory of the tournament. 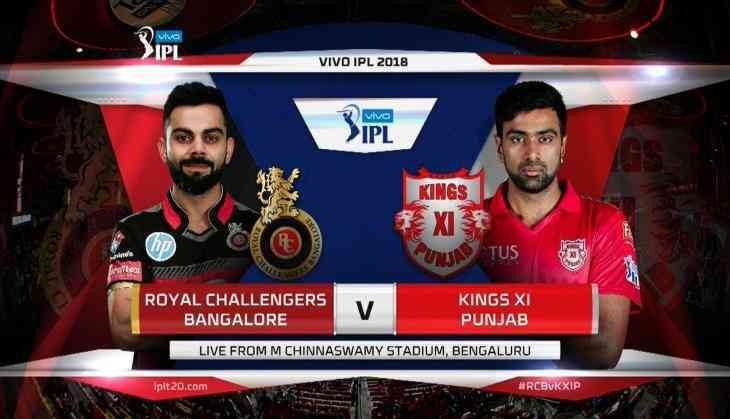 Brendon McCullum, Quinton de Kock (W), Virat Kohli (C), AB de Villiers, Sarfaraz Khan, Mandeep Singh, Chris Woakes, Washington Sundar, Umesh Yadav, Kulwant Khejroliya, Yuzvendra Chahal.